Frank "Lefty" Rosenthal was a mob associate who operated Las Vegas casinos on behalf of the Chicago Outfit bosses in the 1970s. Rosenthal was made famous through actor Robert De Niro's character, Sam "Ace" Rothstein, in the 1995 movie Casino. The movie told the story of Rosenthal’s close association with Outfit member Anthony "Ant" Spilotro (represented by Joe Pesci's character Nicholas "Nicky" Santoro) and their rise together in the Chicago underworld. Rosenthal and Spilotro both were born in Chicago and grew up around local mobsters. Rosenthal gradually made a name for himself as a sports handicapper and gambling expert. Spilotro came to the attention of Outfit leaders by handling the rough stuff as an enforcer. Both men eventually were assigned to oversee Outfit financial interests in Las Vegas casinos. Rosenthal used his gambling expertise to increase casino revenues and maximize the illegal skim - the siphoning off of a portion of casino revenues before they could be counted and taxed. And Spilotro was the mob heavy in the shadows who kept everyone in line. The arrangement worked well at first. The casinos operated by Rosenthal became the talk of the town. And Spilotro was able to dominate organized crime in the city. But, over time, friction developed between the two men. Spilotro grew resentful of Rosenthal’s success and high profile in Las Vegas. And Rosenthal became angry with Spilotro for sleeping with Rosenthal's wife and for attracting unnecessary law enforcement scrutiny to their criminal activities. A dispute with the Nevada Gaming Commission eventually forced Rosenthal out of Las Vegas and the casino business. The house of cards would all come down in the 1980s when Outfit leaders were convicted of skimming profits from casinos and sentenced to long prison terms. They dealt with Spilotro by killing him and his brother. The full extent of Rosenthal’s cooperation has remained a mystery, but newly released FBI documents show for the first time some of the information he shared with federal agents. According to the FBI, Rosenthal supplied Intel about many high-profile mob murders, including those of former Outfit boss Samuel Giancana and legendary mobster Johnny Roselli. And he helped law enforcement crack the murder of seven burglars tied to the robbery of Outfit boss Anthony Accardo’s residence. Johnny Roselli was a longtime La Cosa Nostra member with connections to the Los Angeles Crime Family and the Chicago Outfit going back to the 1930s. He led the mob’s infiltration of Hollywood studios in the 1940s, and he supervised the mob’s interests in Las Vegas in the 1950s. His life took an unexpected turn in the 1960s, when he conspired with the Central Intelligence Agency to kill Cuban dictator Fidel Castro. The available FBI reports don’t indicate if Rosenthal knew Roselli personally, but it seems likely their paths would have crossed in Las Vegas, Chicago or Florida at some point over the years. By the 1970s, Roselli had fallen on hard times and was borrowing money from his criminal associates to get by. His loose lips were also making his mob superiors uneasy. Testimony he had given before a grand jury investigating mob influence in Las Vegas was used to haul Outfit bosses Paul Ricca and Anthony Accardo into court. And he testified for two hours before the United States Congress about the Mafia’s role in the CIA-backed plots against Castro. Roselli was found murdered on August 9, 1976, floating in a barrel in Dumfoundling Bay near Miami. He had been stabbed multiple times and strangled with a rope. Detroit Free Press, March 1977. Rosenthal said Roselli had become a "public source of embarrassment to the LCN," The murder was allegedly committed by Outfit hitman Frank Schweihs and LCN member Vincent Inserro and two other unidentified individuals. Inserro was Anthony Spilotro’s old mentor in the Outfit. Two days before the murder, Rosenthal said that Outfit boss Joseph Aiuppa called Schweihs from a public telephone booth in the Chicago-area "to discuss the Roselli murder." Rosenthal wasn’t able to provide additional information about the murder. Schweihs was considered a prime suspect in Roselli’s murder from the start. Originally from Chicago, he had a long criminal record and had acquired a reputation as an Outfit hitman. He was a resident of Florida for some time and had been arrested there a year before Roselli’s murder for attempting to rob a bank. At the time of his arrest in the bank heist, Schweihs was driving a paint truck. This corresponded to "physical evidence" left later at Roselli’s murder scene. According to the FBI, Roselli’s killers "may have had access to automotive related business." Over the years, the FBI received numerous tips from underworld informants about Roselli’s murder but none of them led to an arrest. The murder has never been officially solved. In the 1970s, the Outfit compartmentalized their enforcement arm under a group called the "Blazers."" The hit squad was headed up by Charles Nicoletti and included hitmen Frank Schweihs, Joseph Lombardo and the Spilotro brothers. These men were responsible for a good percentage of the murders committed by the Outfit during that period. Killed May 12, 1975, in Las Vegas, Nevada, shot five times in the head in the parking lot of Caesar’s Palace casino. Buccieri was pressuring casino owner Allen Glick for money. According to Rosenthal, the killing was carried out by Anthony Spilotro, Joey Hansen and Paul Schiro. While Rosenthal told the FBI that Buccieri was targeted at the request of Glick, Glick was never charged with the crime. Hansen from California and Schiro from Arizona were members of Spilotro’s crew. They grew up together in Chicago. Killed September 11, 1975, in Milwaukee, Wisconsin, shot next to his automobile outside his residence. Wisconsin State Journal, Sept. 12, 1975. Killed November 9, 1975, in San Diego, California, shot five times in the head at home. Rand was seeking an ownership stake in Allen Glick’s casino holdings. According to Rosenthal, the hit was committed by Outfit hitman Harry Aleman and an unidentified individual known only as "Corky". Rosenthal told the FBI the murder was carried out at the behest of Glick, but no charges related to this crime were ever filed against Glick. Aleman was a suspect in many other murders in the 1970s. He was sentenced in 1997 to more than a hundred years in prison following conviction for a 1972 shotgun killing of a union official. He died in prison in 2010. Killed June 19, 1975, in Oak Park, Illinois, shot seven times in the head. According to information provided to the FBI by Rosenthal, Joseph Aiuppa (mistakenly called "Frank" in this report), James Torello, Joseph Lombardo and Joseph Amato were "responsible" for the murder. Rosenthal didn’t say if the men were actually present at the murder, but that seems unlikely given Aiuppa’s age and prominence. It is probable that top boss Anthony Accardo would have had to sign off on the murder. Killed March 29, 1977, in Northlake, Illinois, shot three times in the back of the head while sitting in his automobile. Killed October 19, 1977, in Evansville Indiana, bomb detonated as he entered his automobile. Killed January, 1978, to April, 1978, in Chicago, Illinois, area. In the Burgmurs case, the Outfit eliminated seven burglars connected to the robbery of Anthony Accardo’s residence. Rosenthal said the killings were ordered by Accardo. He said the hits were "organized" by Joseph Aiuppa’s former chauffeur, Gerry Carusiello. Rosenthal’s tip appears to have led investigators to zero in on Carusiello. Telephone records later established that Carusiello had called each murder victim multiple times in the days leading up to their deaths. In Greek mythology, Achilles was a great warrior who fought in the Trojan War. Achilles died after an arrow pierced his heel, the only vulnerable part of his godlike body. Was the codename a wordplay on Rosenthal’s potential ability to take down the invincible Chicago Outfit like Achilles took down Troy's greatest warrior, Hector? The information supplied by Rosenthal about the murders generally corresponded with information law enforcement developed from other sources. Rosenthal told the FBI that his information about the murders was second hand. According to the FBI, the information was "made accessible to him" because of his close association with Outfit leaders. That doesn’t mean Rosenthal’s information is accurate in all aspects, but it provides a high degree of credibility. According to the FBI, Rosenthal's information was "singular in nature and its disclosure outside the FBI would, therefore, seriously jeopardize the safety of [Rosenthal]." There is no doubt he would have been killed had word leaked out about his cooperation. The only significant claim made by Rosenthal that raises a red flag is pinning the murder of Giancana on Joseph Aiuppa, James Torello, Joseph Lombardo and Joseph Amato. No one was ever charged in Giancana’s death but it has been generally accepted by law enforcement that the prime suspect was Dominic "Butch" Blasi. He was Giancana’s closest companion and the last person to see him alive. How does that square with what Rosenthal said? A careful reading indicates Rosenthal only claimed that Aiuppa and the others were "responsible" for Giancana’s death. That could be interpreted to mean they were the driving force behind the murder, but Blasi, or someone else, actually pulled the trigger. It’s not clear exactly what pushed Rosenthal into the arms of the FBI, but by 1978 at least, Rosenthal was talking. His contacting agent, at one point anyway, was Special Agent Zachary Shelton from the FBI’s Chicago office. Rosenthal’s relationship with formerly close underworld associate Anthony Spilotro had soured bitterly by this point, so that likely had something to do with his actions. Rosenthal probably looked at the odds before him and decided it was his best play. 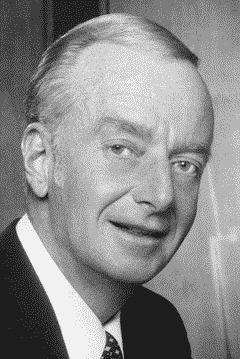 Thanks to Richard Warner for referring the writer to the Morrison article linking Frank Rosenthal and "Achilles." 1 Morrison, Jane Anne. 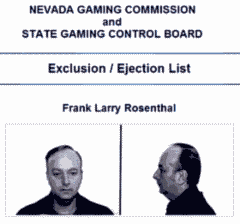 "'Lefty' Rosenthal was an FBI snitch,"	Las Vegas Review-Journal, Oct. 30, 2008. This was the first time Rosenthal’s cooperation was publicly exposed and his codename was revealed. 2 FBI, John Roselli, Los Angeles Office, Nov. 27, 1970, NARA Record No. 124-10289-10008. 3 FBI, Roskil, Miami Office, June 17, 1978, NARA Record No. 124-10356-10272; FBI, Roskil, Miami Office, Dec. 15, 1979, NARA Record No. 124-10356-10216. 4 FBI, Roskil Gangmurs, Miami Office, Feb. 27, 1979, NARA Record No. 124-10356-10302; Nicholas Pileggi, Casino: Love and Honor in Las Vegas, New York: Simon & Schuster, 1985, 180-186. The information about Buccieri and Rand was backed up by a top FBI source in Milwaukee. According to this informant, Milwaukee Crime Family boss Frank Balistrieri, who had an interest in Glick’s casinos, ordered the deaths of Buccieri and Rand to protect the mob skim. The identity of this other source is unclear. Milwaukee Crime Family member informant August Maniaci might have provided information about Buccieri’s murder but he was dead by the time Rand was killed. ; FBI, La Cosa Nostra (LCN) Gangland Slayings, E.J. Sharp to Mr. Fehl, Feb. 17, 1977, NARA Record No. 124-10202-10472. According to Los Angeles Crime Family member-informant Frank Bompensiero, Hansen and Schiro were travelling the country committing high-level "hits" for the mob. 5 FBI, Roskil Gangmurs, Miami Office, Feb. 27, 1979, NARA Record No. 124-10356-10302. Witnesses linked Charles Nicoletti and Paul Schiro to the shooting. The gun was purchased at the Tamiami Gun Shop in Miami. 6 FBI, Roskil, Chicago Office, Oct. 28, 1978, NARA Record No. 124-10356-10285; FBI, Roskil, Miami Office, June 17, 1978, NARA Record No. 124-10356-10272. Erroneous information was later included in subsequent FBI reports that Rosenthal claimed Frank Schweihs killed Maniaci but in fact he never told the FBI that. 7 The name "Corky" may refer to an Outfit associate nicknamed "Porky," who was investigated in connection with the Chicago Family Secrets case but not charged. 8 FBI, Roskil Gangmurs, Miami Office, Feb. 27, 1979, NARA Record No. 124-10356-10302. 9 FBI, Roskil Gangmurs, Miami Office, Feb. 27, 1979, NARA Record No. 124-10356-10302. 10 FBI, Roskil Gangmurs, Miami Office, Feb. 27, 1979, NARA Record No. 124-10356-10302. 11 "Burgmurs" was the designation given to the investigation by the FBI. It was an amalgam of "burglary" and "murders". ; William F. Roemer, Jr., Accardo: The Genuine Godfather, New York: Donald I. Fine, Inc., 1995. Roemer provides the full story on the murders connected to the burglary of Accardo’s residence. Carusiello was later murdered in attempt by Accardo to cut all ties to the murders. 12 FBI, Roskil, Miami Office, Dec. 15, 1979, NARA Record No. 124-10356-10216; FBI, Frank "Lefty" Rosenthal, Miami Office, July 12, 1967, NARA Record No. 124-10300-10077. Rosenthal was generally not personally associated with violent behavior but FBI reports indicate in the 1960s that he was the "guiding force" behind a bombing campaign of rival bookmakers in the Miami-area. It raises some question about his actual involvement in some of the murders connected to his casinos. 13 FBI, Roskil, Chicago Office, Oct. 28, 1978, NARA Record No. 124-10356-10285; FBI, Roskil, Director’s Office, June 7, 1978, NARA Record No. 124-10356-10270. 14 FBI, Roskil, Director’s Office, June 7, 1978, NARA Record No. 124-10356-10270; FBI, Roskil, Miami Office, June 17, 1978, NARA Record No. 124-10356-10272. 15 FBI, Roskil, Director’s Office, June 7, 1978, NARA Record No. 124-10356-10270. It’s clear from this document that the FBI’s Miami Office was unfamiliar with this informant, suggesting he had just been developed. 16 FBI, Roskil, Miami Office, Jan. 11, 1979, NARA Record No. 124-10356-10290. 17 FBI, John Aiuppa, Chicago Office, April 20, 1973, NARA Record No. 124-10196-10353.